Being eco-conscious is easier and more affordable than ever before. Living in the desert in Southern California, we have sunshine for most of the year. It's easy to see the eco-chic lifestyle in action here with all the hybrid cars, solar panels on rooftops, and wind farms we have here in California. We're a pretty frugal family but even the most frugal family can benefit their pocketbooks and the environment from embracing an eco-chic lifestyle. I won't be buying a Tesla anytime soon (dream list) but we CAN be more eco-conscious everyday with simple changes that anyone can do. From solar water heating to using a solar-powered backpack to power your electronic devices, read on to see some of the ways you can be more eco-chic, every day! Solar Water Heaters – they're not what you think! When my parents told me they were putting in a solar water heater on the adobe house they plan to build in Arizona, I had a lot of misconceptions about how solar water heaters work. Solar water heating systems are not the same as solar energy systems or solar panels on our roof. A solar water heating system or solar thermal system does not replace your existing water heater. It works with the water heater by preheating the water with the warmth of the sun to help your hot water system use less energy. The solar water heating systems work with your traditional or tankless water heater to provide hot water day and night, rain or shine. This makes a lot of sense, right?! May be eligible for federal, state and local rebates when available. Make your house more environmentally friendly. Did you know you can get a rebate on your solar water heating system? Solar water heating is an effective way to boost the efficiency your existing hot water system, while reducing energy costs. Choosing the right solar water heating system not only maximizes the energy you save every month but also determines your rebate from the California Solar Initiative. The amount of your rebate is based on how much energy the solar water heating system is expected to displace annually, so it's important to find the right system for your home. Homeowners can receive a rebate up to $10,238! To receive an energy rebate you must either find a certified contractor or attend a self-installer workshop. Find more information about a certified contractor here. Start your transition to solar water heating by selecting an eligible contractor from the California Solar Initiative Thermal Program. Eligible contractors help you determine the right system for your house, apply for your rebate and maximize your energy savings every month. You can have a solar water heated system professionally installed by a certified contractor who will work with you to determine the best system for you and handle your rebate application. Many thanks to SoCalGas for sponsoring today’s story and teaching me to learn how to make my home and life more eco-friendly! 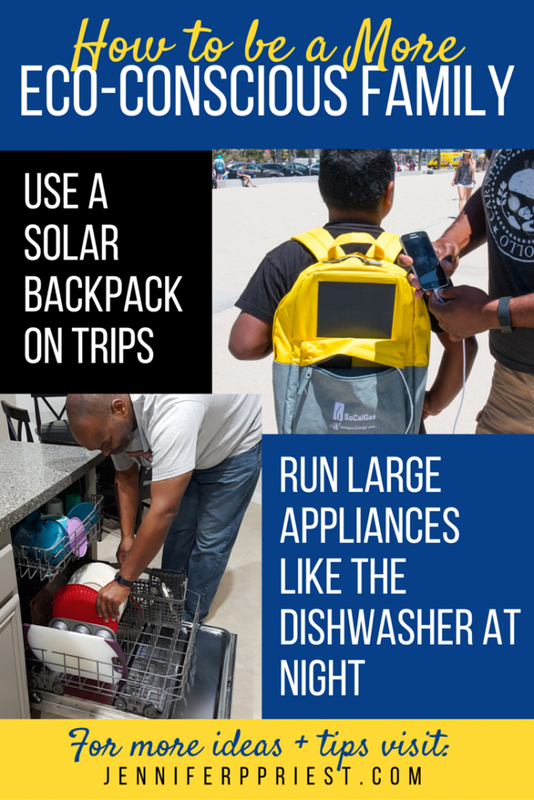 Rather than sitting in a running car to charge our electronics during a family outing, we can use the backpack to stay powered up all day long. the backpack can also be used to charge our mobile phone chargers and external batteries when we aren't using it the charge the electronics we're using. 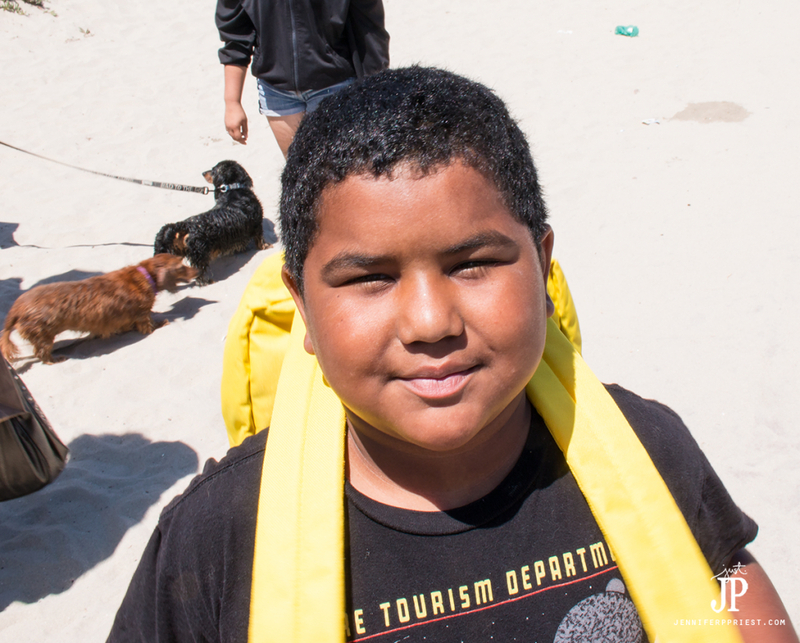 We survived Corgi Beach Day with the help of this Birksun solar backpack from SoCalGas! 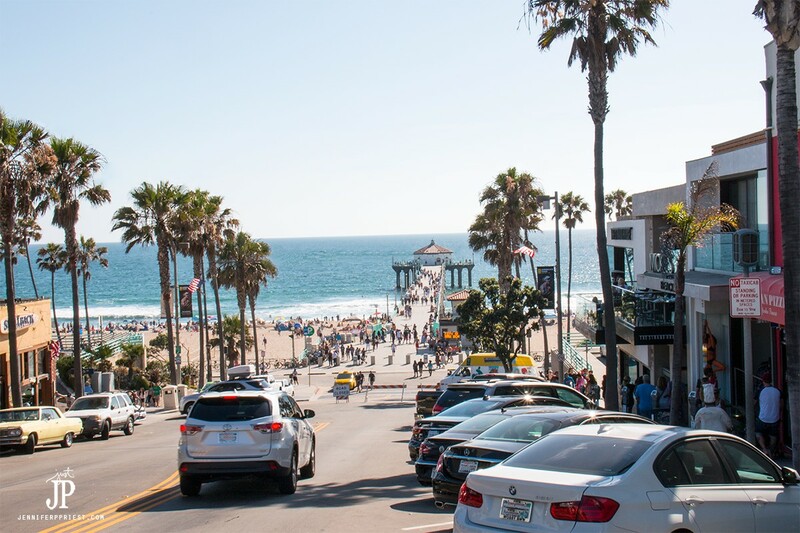 Last weekend, we took a trip to Long Beach and then up Pacific Coast Highway to Manhattan Beach. The main agenda was to go to Corgi Beach Day in Long Beach. Katie loves Corgis (blog post about the day coming soon!) and we knew she would want to spend as much time on the beach as possible. 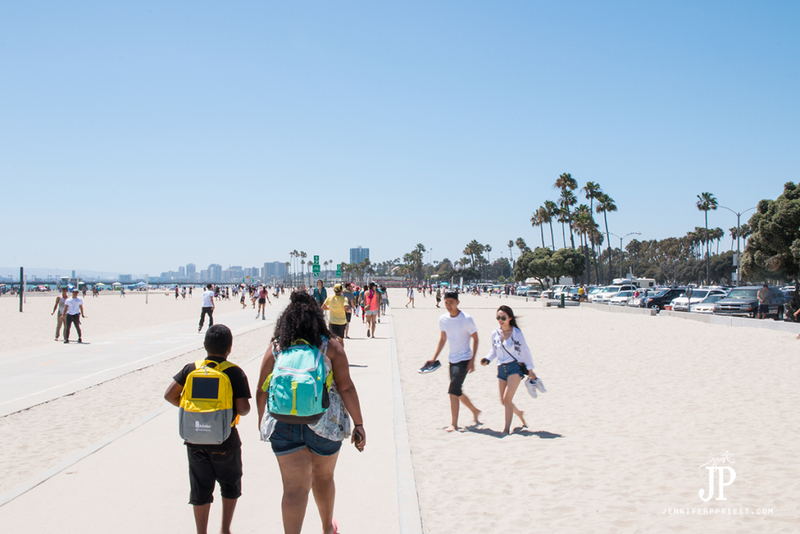 We loaded up the backpack and set out to spend the day on the beach. Sure I have loads of external chargers for mobile devices but they get heavy when you're carrying chargers for mobile phones. 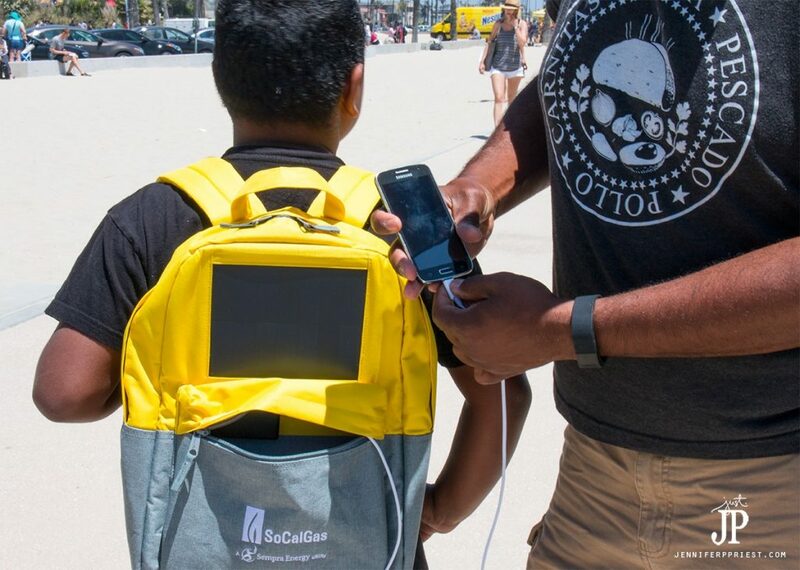 We were able to stay charged up all day with this solar backpack. Matthew thought he was extra cool wearing it. Put all your essentials in the backpack, like a light jacket, a book to read, and snacks. In the pocket, plug in your electronics to charge. The solar panel will activate and start charging your devices as you walk around in the sun. It was perfect for a day at the beach! You can power alot more than a backpack with the power of the sun! CLICK HERE to learn more about solar water heating and how to get a rebate when you install a solar water heating system on your home from SoCalGas! How I cut my electric bill in half and stopped the laundry monster! 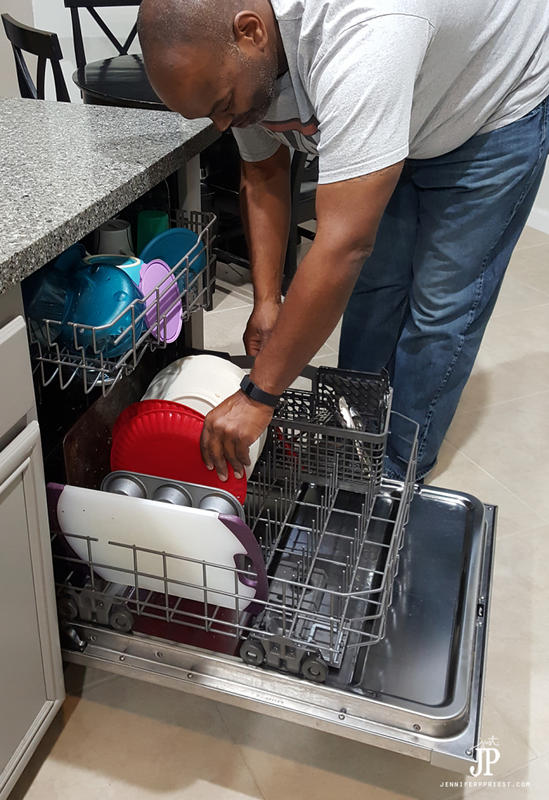 Use real dishes and glasses so you can fill the dishwasher daily or every other day. Start with an empty dishwasher in the morning. Teach the kids and family members to get into the habit of rinsing dishes and putting them in the dishwasher straight away, versus piling them in the sink or on the counter. Hand wash knives and pots and pans as they are used. If the dishwasher is not full, run other items in it, such as pot scrubbers, sponges, and decorative glassware (that is safe for washing) to finish filling it. A family of 4 should fill the dishwasher every day. If your dishwasher has a timer, after dinner, set it to start at 11pm. 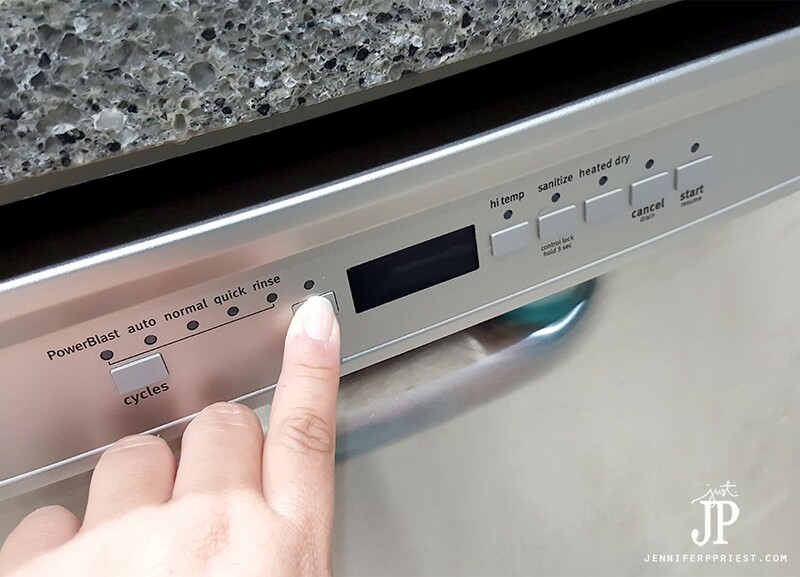 If your dishwasher does not have a timer, set it to run when you go to bed. In the morning, have the kids unload the dishwasher for their morning chores. It literally takes 5 minutes. The dishwasher is now empty and ready to fill throughout the day! We keep one hamper in the laundry room. We use the hamper and the clothes washer to hold the dirty clothes. The clothes are divided into two sets: whites (that get bleached) and dark clothes (everything else). We wash bedding on the weekend so that isn't in the mix of this process. We fill the washing machine with dirty clothes throughout the day, much like we do with the dishwasher. I have a front loading washer so we leave the door ajar to avoid the clothes getting extra stinky inside the washer. We alternate whites and darks between the hamper and the clothes washer. Today we fill the washer with darks and the hamper with whites. Tomorrow, we switch and fill the washer with whites and the hamper with darks. Sometimes it might take us a few days to get a full load of whites so we might run two days of dark clothes and then one day of whites. At night, after everyone has changed into their pajamas, we set the timer on the washing machine to run in the middle of the night. If the load isn't full, we continue filling the washer the next day until we have a full load. In the morning when we wake up, usually around 6:00 am, we put the clothes into the dryer. My husband leaves for work and me or the kids hang and fold the one load of clothes. We then fill the clothes washer with the clothes from the hamper. The rest of the day, we'll add those types of clothes to the washer and the other clothes to the hamper. The cycle starts again! Laundry takes about 5-10 minutes a day with this method and I have saved a TON on my energy bills, cutting my electricity bill in HALF in the summers. A solar water heater can totally work with this system as well! Did you know that some fast food places will give you a discount if you bring your own cup? 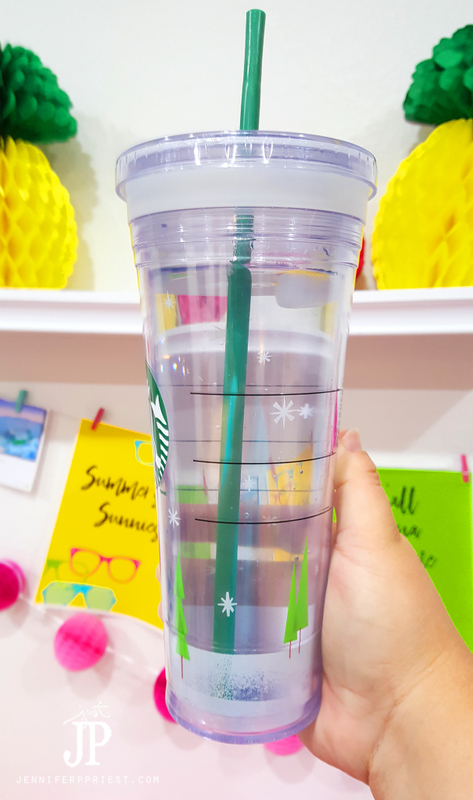 Starbucks is one of my favorite coffee shops because they sell both cold travel cups and hot drink travel cups and offer a discount when you bring your own clean cup to their shop. Shop ban.do also has some super cute travel cups for cold and hot drinks – you can be eco-chic and cute too! I think I need to get one of their cups soon – how about you? You can also save money and have less impact on the environment by bringing a resuable water bottle and refilling it on trips. Anytime I get in my car, I bring a tall plastic tumbler filled with ice and water. We've reduced how many plastic water bottles we buy, I have less trash to clean out of my car, and I drink more water as a result! Using your own water bottles and coffee mugs at your favorite restaurants also helps fill that dishwasher every night. Being eco-conscious is easier than ever, with tools like solar water heaters and the California Solar Initiative. Try the ideas we listed above to take steps towards making your family eco-chic! Visit the SoCalGas homepage to learn more about the benefits of solar water heating systems and rebate offers. I had no idea that there were solar water heating systems! Very cool!! Ok. I had no idea these existed, needles to say how cool they are!